This custom Thanksgiving screensaver was designed right here at Sage Goddess Headquarters. When we celebrate Thanksgiving, we celebrate the circle of giving and receiving, with renewed gratitude for the never-ending cycle of abundance. 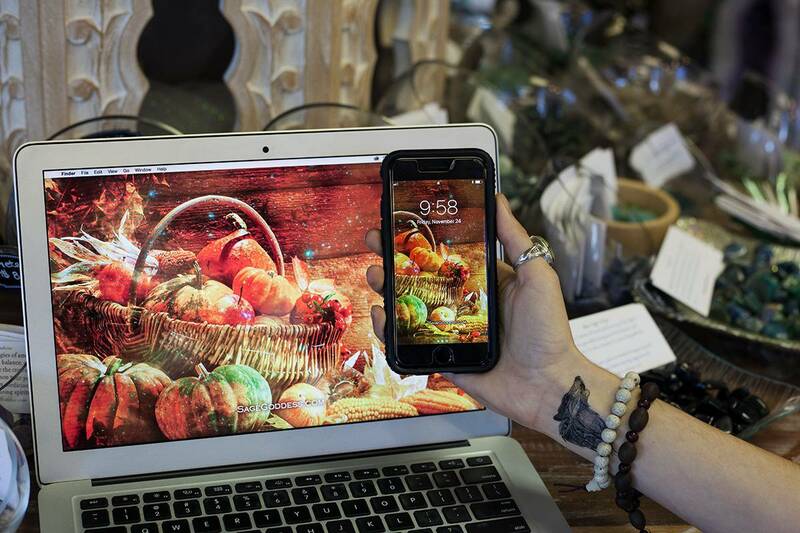 Add the Thanksgiving screensaver to your cart. Then proceed to checkout. You will receive an email order confirmation. Click on the “Download Thanksgiving” link.